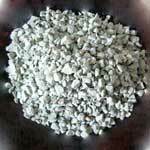 Zeolites are microporous, aluminosilicate minerals commonly used as commercial adsorbents. These materials are also known as molecular sieve - they contain tiny pores of a precise and uniform size that are useful as adsorbent for gases and liquids. Due to these characteristics, zeolite has found wide applications in adsorption, catalysis, and the removal of heavy metal ions from industrial wastewaters. The zeolites commonly used to remove heavy metal ions from industrial effluent are in the form of fine powders and must be recovered by solid-liquid separation subsequent to the purification process. Although the separation is possible for single-phase liquid or gas detoxification processes, the practical application of fine zeolite powders to complex multiphase systems is rather limited. Researchers in Canda have now devised a new technology to separate the spent sorbent powders from treated streams. This could extend the application of zeolites to a much wider range of systems. One of the key issues in building implantable neural interfaces is the guidance of axons, the individual nerve fibers that act as the primary transmission lines of the nervous system. 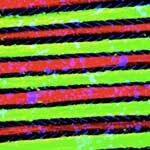 The ability to control the connections between neurons by guiding their axons on a chip surface offers several advantages. Among them is the possibility to address axons from different types of neurons, e.g., motor neurons from sensory neurons. This is a prerequisite condition for bidirectional neural implants such as brain machine interfaces. Axonal guidance has been achieved before, and there are various chemical and topographical modification techniques to do so. 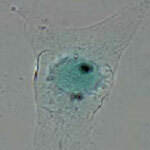 However, scientists only managed to control the orientation of the nerve fibers. In new work, a Swedish team shows that it is possible to impose a growth direction at a specific location on a substrate, something which is very important for neural chip construction for example. The first application for this research would be in neural network design. New work at the University of Arkansas has, for the very first time, demonstrated that Raman spectroscopy can be used to detect and monitor circulating carbon nanotubes in vivo and in real time. These findings could have a significant impact on the knowledge of how nanomaterials interact with living biological systems. 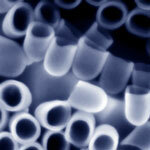 Carbon nanotubes can be used for various advanced bio-medical applications. Before any clinical application of nanoparticles, it is imperative to determine critical in vivo parameters, namely pharmacological profiles including nanoparticle clearance rate from the circulation and their biodistribution in various tissue and organs. Until now, their distribution was only monitored by collecting samples after various time intervals, but this new research shows the ability of monitoring their concentration in vivo and in real time, while the animal is alive. Moreover, this work can be extended to the detection of circulating cancer cells that have been tagged by carbon nanotubes. Many nanotechnology research efforts have explored the use of hollow nanochannels formed by carbon nanotubes (CNTs). However, the usually large length/diameter aspect ratio of CNTs has made it challenging to insert other materials into them in a controlled manner. 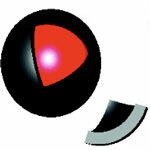 A team of scientists has now developed the idea of using a nanocup morphology to solve this problem. The length/diameter ratio of these new graphitic architectures is 1,000 to 100,000 times smaller compared to conventional carbon nanotubes. This will allow researchers to build highly engineered and multicomponent functional nano building blocks for various applications including nanomedicine and nanometrology. Online breath analysis via an array of chemiresistive random network of single walled carbon nanotubes coated with organic materials showed excellent discrimination between the various breath states. An important implication of these findings, besides the detection of diseases directly related to the respiratory, cardiovascular, and renal systems, is the fact that volatile organic compounds are mainly blood borne and the concentration of biologically relevant substances in exhaled breath closely reflects that in the arterial system. Therefore, breath is predestined for monitoring different processes in the body. 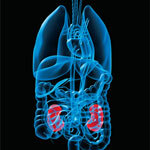 The excellent discrimination between the various breath states obtained in this study provides expectations for future capabilities for diagnosis, detection, and screening various stages of kidney disease, especially in the early stages of the disease, where it is possible to control blood pressure, fat, glucose and protein intake to slow the progression. 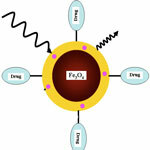 The use of gold nanoparticles in numerous biological and chemical nanotechnology applications experiences limitations due to the stability of the particles and their tendency for non-specific binding. One method to overcome these problems has been the use of carbon nanoshells to encapsulate gold and other noble metal particles. A graphene-like carbon shell is ideal for surface passivation of the metal nanoparticles for several reasons: it is nonreactive with the metallic surface; it provides unsurpassed stability; and it possesses a convenient handle for functionalization. A research team in the U.S. has now demonstrated a new fabrication method to encapsulate gold nanoparticles in a graphene-like carbon shell. A number of applications in nanomedicine - imaging, drug delivery or photo therapy for instance - utilize phenomena called two-photon absorption (TPA). In TPA, the simultaneous absorption of two photons excite a molecule from one state to a higher energy electronic state. TPA initially was used only as a spectroscopic tool but new applications emerged over time. Currently approved two-photon absorption-induced excitation is one of the most promising approaches in photo therapies as it increases light penetration. It enables the use of light in the tissue-transparent window (750-1000 nm), allowing deeper light penetration and reduced risk of laser hyperthermia. An uphill energy conversion through the use of two-photon absorbing chromophores and subsequent energy transfer is a promising scientific frontier. Studies have already shown the complexity of architecture that is achievable using DNA as building blocks. For instance, nanofabrication via molecular self-assembly has already resulted in simple DNA polyhedra with connectivities of a cube, octahedron, and a tetrahedron. Platonic solids - any one of five solids whose faces are congruent regular polygons and whose polyhedral angles are all congruent - are the most efficient at enclosing large volumes. The more complex the polyhedron, the greater its ability to encapsulate cargo, because the capsule size can be maximized while keeping the pore-size of the capsule minimal. 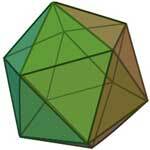 The most complex platonic solid is the icosahedron and therefore this would be most suitable for achieving cargo encapsulation. The DNA shell of such a capsule could protect vulnerable drugs from degradation by proteins until they reach their target site. It could also prevent dangerous drugs from leaking out until the capsule reaches its intended target. The DNA shell could also allow attachment to a protein that could ferry the drug-loaded capsule to a target.